Venture out of the city with trips to Cape Cod Canal (in Buzzards Bay), Sandwich (Sandwich Glass Museum, Old King's Hwy, & more) and Plymouth (Plymouth Bay Winery, Brewster Gardens, & more). 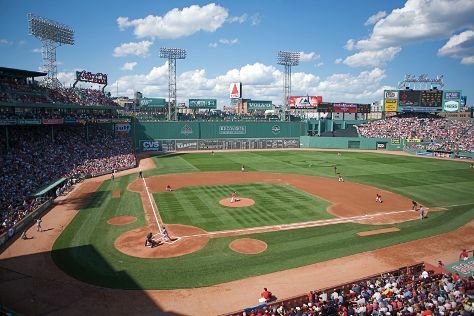 There's much more to do: admire all the interesting features of Fenway Park, get advice or help at Boston Public Library, appreciate the extensive heritage of Freedom Trail, and see the interesting displays at Pilgrim Monument & Provincetown Museum. Ask Inspirock to suggest an itinerary and make planning a trip to Boston fast, fun, and easy. If you are flying in from Brazil, the closest major airports are General Edward Lawrence Logan International Airport, Portsmouth International at Pease Airport and Bradley International Airport. In May, plan for daily highs up to 22°C, and evening lows to 11°C. Wrap up your sightseeing on the 11th (Tue) early enough to travel back home.